It is a good location to stay in city, there is only 3 mins walking distance to Coles supermarket and world square, The street is so crowded when you step out to the hotel, a lot of good foods, and only 7 mins walking distance to Town Hall train station. the staff and manager were friendly ,helpful and politely throughtout the stay. It is very clean and good facility provided. The room mates are friendly and helpful. The most important that the rate is cheap. Would highly recommend!!! Amazing location in the heart of sydney and good price! Nice stuff and service nice roommates as well! Second time to come here. Nice staff. Clean room. And super convenient to everywhere. Awesome location to town Hall station & center of city. The room was spacious, clean and exactly like in photos. The bed and the pillows were comfortable. The reception were amiable and looked after my luggage for a few hours after I checked out. The helpful and friendly staff is what really made the stay excellent. Nice and clean accommodation. Awesome location. The staff is helpful and kind. Bed was comfortable. Location is wonderful. 1mins to world square,Coles,Chinatown. 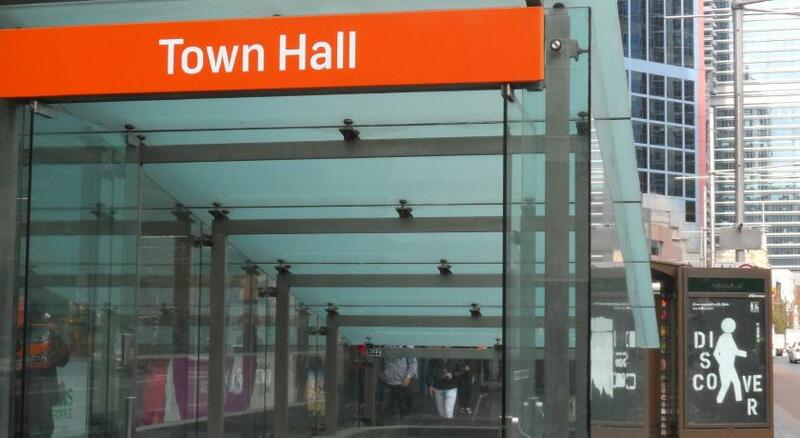 3 mins to town hall or central station. Staff very friendly and helpful. Kitchen and bathrooms are clean. I’ll come back again. Value for the money, near to food stalls, convenient stores and near to icons of Sydney if you dont mind walking. Place is near to everything... i mean food stall, stores and Sydney icon. Central Perk Backpackers This rating is a reflection of how the property compares to the industry standard when it comes to price, facilities and services available. It's based on a self-evaluation by the property. Use this rating to help choose your stay! Located in the heart of Sydney CBD (Central Business District), just a 1-minute walk from a variety of pubs, shops and restaurants, Central Perk Backpackers offers dormitory rooms, all with city views. Guests are provided with free WiFi. Central Backpackers is within 5 minutes' walk of both the Town Hall and Central Railway Stations and has a bus stop just outside the door. 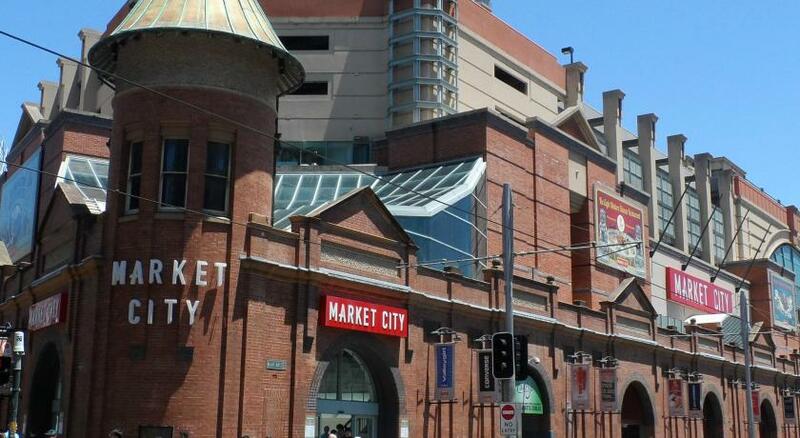 Chinatown is just 1,650 feet walk away and both Darling Harbor and Star City Casino are within 10 minutes’ walk. The guest lounge room is equipped with a flat-screen TV, DVD player and stereo. The shared kitchen area includes toasters, microwaves and tea and coffee making facilities. Dormitory rooms offer views of the city and have private lockers and shared bathroom facilities. It is an 8-minute drive to Circular Quay where you can view both the Sydney Opera House and Sydney Harbor Bridge. Sydney International Airport is a 30-minute drive away. All day discount vouchers are available for Cinema Center Car Park reception for AUD 26 per ticket. 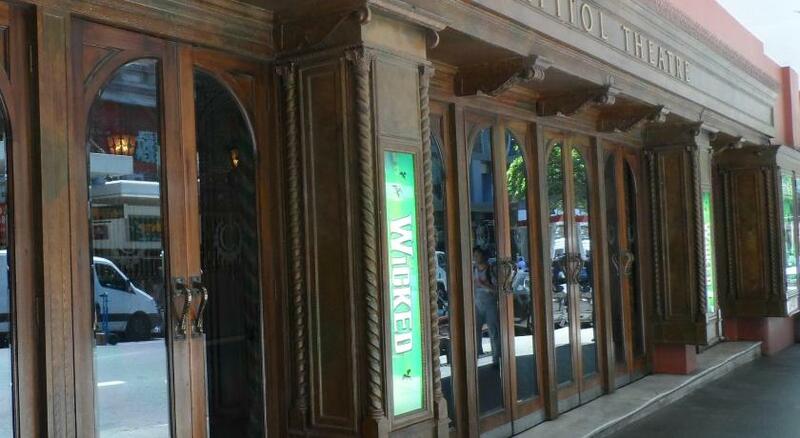 When would you like to stay at Central Perk Backpackers? This dormitory room features lockers, opening windows and shared bathroom facilities. This bed in dormitory has a balcony, lockers, opening windows and shared bathroom facilities. Area Info – This neighborhood is a great choice for travelers interested in shopping, food and restaurants – Check location Good location – show map Guests loved walking around the neighborhood! House Rules Central Perk Backpackers takes special requests – add in the next step! A AUD30 damage deposit is required 7 days before arrival (about USD21.28). This deposit will be fully refunded 7 days after check-out, as long as there isn't any damage to the property. When booking for more than 18 people, different policies and additional supplements may apply. Central Perk Backpackers accepts these cards and reserves the right to temporarily hold an amount prior to arrival. All guests must sign the properties terms of stay. A damage deposit of AUD 30 is required. The host charges this 7 days before arrival. That's about 21.28USD. This will be collected by credit card. You should be reimbursed within 7 days of check-out. Your deposit will be refunded in full by credit card, subject to an inspection of the property. Problem was I was attacked by bed bugs. The location, overasll cleanliness and price were great. Pictures are different in reality. Service at reception was awful. I was asked to wait for 10mins because the system is down,but it became 20mins. Check-in took another 20mins as the receptionist processed my Amex card which was not allowed in the first place. The place has NO lift and Godspeed when trying to bring heavy luggage all the way to the 3rd level (4 floors up the ground). Noisy at night as it is beside the road. The rooms smell and are never cleaned. The furnitures are worn out. Will never stay here again. 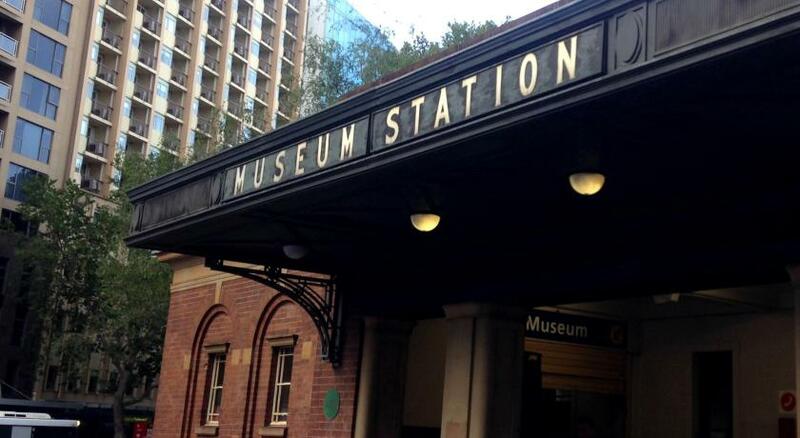 Location is central in sydney CBD, 15min to museum or townhall station. Loads of eating areas around. The staff and guests were friendly. The bedroom had a weird smell. It has no lift for the luggage!! really wasnt enough toilets and showers on each level, there were only 3 toilets and showers. so it was quite a wait for them in the busy periods in the morning. stayed in a 10 bed dorm 55 dollars was way over priced. only stayed there becuase everything else was booked out. wasnt a lot of room in the kitchen or the common room. location was goo, is in the middle of sydney has a shopping mall across the road from it. close to transport, bars and clubs for a night out. did have plenty of power points in the room, hostel was pretty chilled. they were any loud idiots or party chicks in the hostel which was good. dorms were mixed so that was a good way to meet other people. Bed: The bed looks dirty as they only put a bed sheet that is just on the top of the bed (not wrapping the mattress). The mattress itself looks old and looks like it haven't washed for ages. The worst part is, I saw a bed bug crawling on my leg when I went to the toilet (that was coming from the bed). Facilities: They don't have a seating area. Customer Service: Front desk staff needs more customer service training. I booked the location and during that night, there was an ongoing construction work just outside our window. The construction work was the entire night and I asked him for me to change to other room but instead he gave me an earplug which is useless. After that, I asked for a refund and he just emailed me to say sorry about the noise??? Such as bad customer service. Road construction work directly outside made constant noise all night through the window which needed to be open because the room was really hot. Excellent value for money no frills place to sleep overnight in Central Sydney.